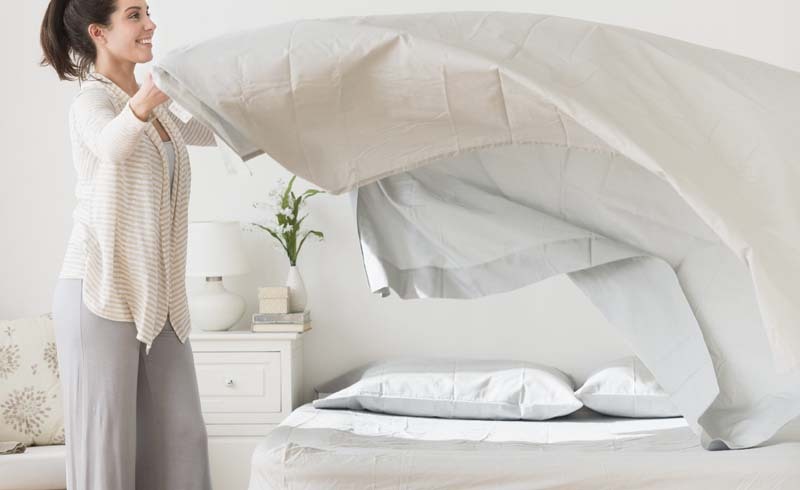 Fabric expert Tricia Rose of Rough Linen shares her laundry tips for keeping sheets fresh. Keeping sheets fresh is no easy feat. 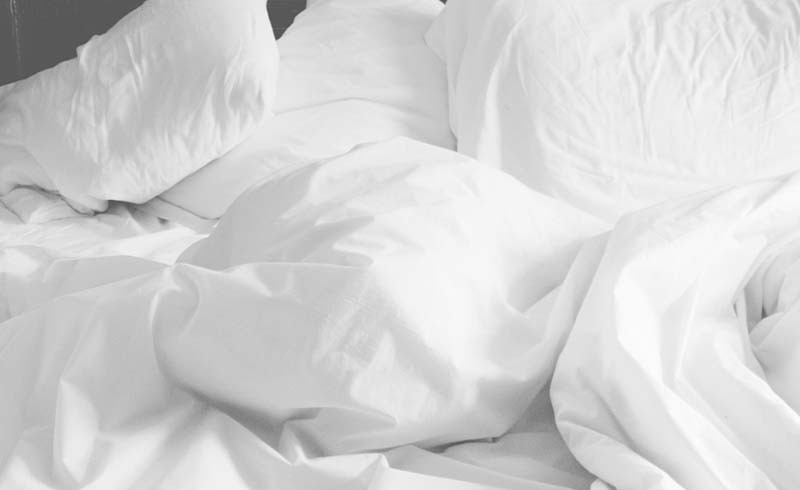 No matter how frequently (or, let's be honest—infrequently) you wash them, that fresh-out-of-the-dryer feeling tends to fade after the first few sleeps in-between the sheets. General laundry rules exist for just about every other piece of fabric in your home—sports bras and jeans included—but there seems to be a common thread of confusion when it comes to washing sheets. Just how often should they really be cleaned? We looked to Tricia Rose, founder of textile company Rough Linen, for answers. According to Rose, the frequency at which you should wash your sheets boils down to the season and your nightly habits. "Your sweat level, what you wear to bed, and whether or not you snack in bed all affect how quickly your bedding gets sullied," Rose says. "A woman sleeping in pajamas during a crisp spring is different from a sporty teenager who sleeps in boxers during a hot summer." Another factor to consider: how many people are sleeping in said bed every night. "If you share a bed, it gets twice the wear," Rose says. As a general rule of thumb, Rose advises weekly washings in order to keep your sheets looking and smelling as fresh as possible. "Once a week is standard," she says. "A lot of it is left to personal preference, but as soon as your sheets stop feeling fresh is the best time for you to wash them." It's crucial to consider the fabric you're sleeping on too, since cotton sheets vary in care compared to those made from linen. Linen requires less frequent washing than cotton does because the durable fabric repels dirt and can be cleaned easily with a shake out or a simple brush of the material with your hand. It turns out your sheets aren't the only bedding component that needs regular TLC. Rose advises on regular, weekly washings for pillowcases as well. As for duvet covers, Rose suggests easing up on habitual washes since a duvet floats over your body and gets far less wear than sheets do (and can be a real hassle to put back on). "Duvets take some effort to change, so less frequent washing saves yourself from that nuisance," she says.